Over the past decade the debate on legal capacity has evolved significantly from a concept of guardianship and substitute decision-making to the point we are at today with enactment of a law that allows for decision making assistance in the first instance. It has been a long road to get to this day. In 2007, Inclusion Ireland had a Parent's Seminar including a key note speech from Michael Bach of the Canadian Association for Community Living (CACL) who gave an overview of current international thinking on supported decision making as an alternative to substitute decision making or guardianship in the context of the UN Convention. The seminar which was held in Athlone was the first Parent's Seminar and also featured a discussion on Long-Stay charges. The discussion on the day looked at the idea of 'will and preference' as opposed to the 'best interests' principle that had dominated the conversation to this point. 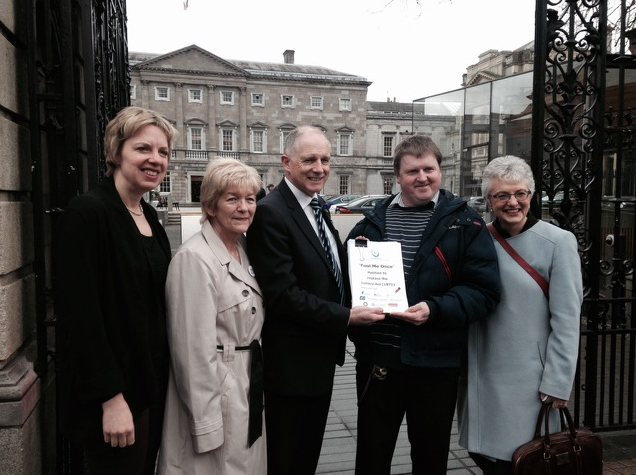 In 2009 we launched two books, one a support for families of people with disabilities called 'Who Decides & How; Making Medical Decisions' which was launched by Dr Mark Hamilton and looked at the capacity law in the context of medical decisions and Making Decisions About Money as an Easy to Read Guide for people with intellectual disabilities. Both books proved very popular follow ups to 2003's Who Decides & How Book. In the same year Inclusion Ireland held a roundtable on Capacity with Michael Bach again a keynote speaker. In 2011 as part of Inclusion Ireland's 50th anniversary celebrations we held a law seminar on People with Intellectual Disability & the Law with a particular focus on Article 12 and capacity issues. At the event Gerard Quinn described Article 12 as the beating heartbeat of the Convention and the denial of legal capacity as a 'civil death'. In 2012 Inclusion Ireland presented to the Justice Joint Oireachtas Committee on Mental Capacity at that time we raised concerns as to the guardianship elements that had been on the table in the 2008 Mental Capacity and Guardianship Bill as well as decisions being based on 'best interests' and urged that the Committee examine the approach taken by British Columbia where people were supported to make their own decisions saying "We should not legislate for the stripping away of decisions from the decision maker. Rather, we should acknowledge the rights of people with disabilities to have their decisions recognised, supported and given legal effect". 2015 was a particularly busy year for capacity as momentum built. Inclusion Ireland spearheaded a campaign called 'Fool me Once' culminating on April Fools's Day. 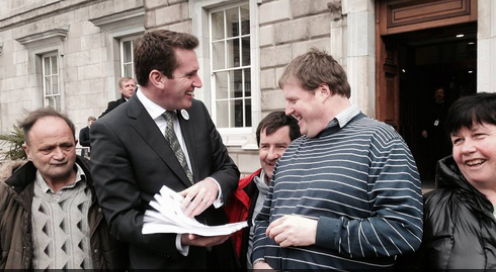 A petition with over 3,000 signatures was presented by members of Inclusion Ireland Self Advocacy Committee Martin Rowan, Paul Alford, Adrian Noonan and Phil Davy at Leinster House to Minister for Equality Aodhan O'Riordain. Inclusion Ireland representatives also met with members of the Joint-Oireachtas committee on Human Rights who have responsibility for monitoring the UN Convention on the Rights of Persons with Disabilities.The Committee is comprised of representatives of Dail and Seanad and Ivana Bacik, Anne Ferris, David Stanton and Katherine Zappone met with Adrian Noonan to receive the petition and hear about the campaign. The representatives assured Inclusion Ireland that the Bill would be back in the Oireachtas before the end of the year, and so it proved. It has been an epic journey over the past decade and the enactment of the Assisted Decision-Making (Capacity) Act 2015 is an important milestone. It does not however represent the end of the journey. There is important work to be done over the upcoming months and years to make the legislation work and to advocate for improvements but we can be glad to be rid of the Lunacy Act 1871.